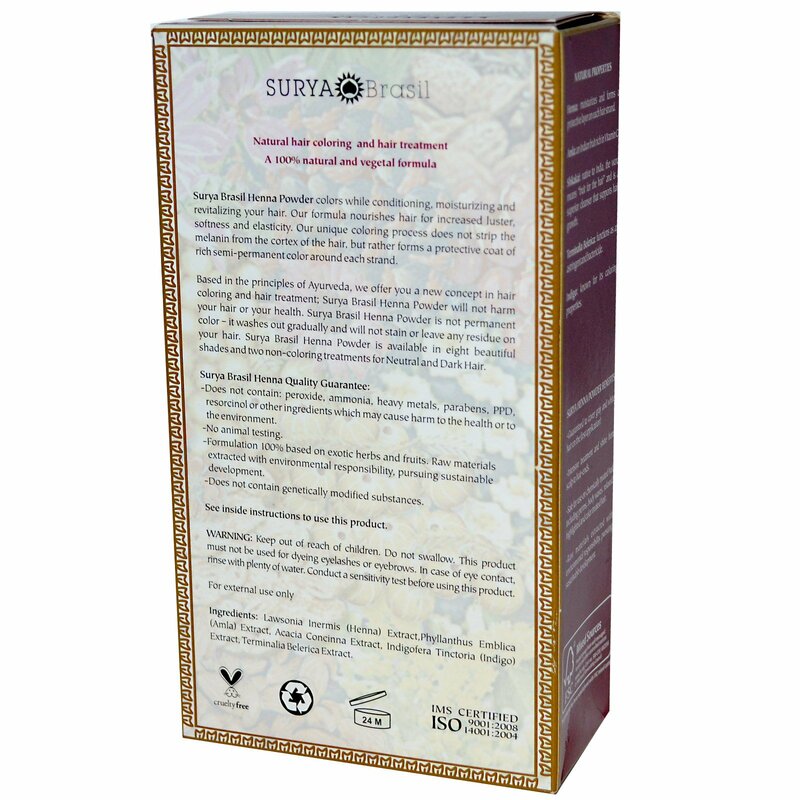 Made With Selected and Imported Raw Material From India. 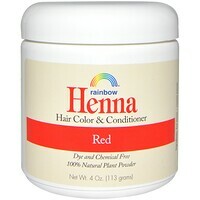 Surya Brasil Henna Powder colors while conditioning, moisturizing and revitalizing your hair. Our formula nourishes hair for increased luster, softness and elasticity. Our unique coloring process does not strip the melanin from the cortex of the hair, but rather forms a protective coat of rich semi-permanent color around each strand. Based in the principles of Ayurvedic medicine, we offer you a new concept in hair coloring and treatment; Surya Brasil Henna Powder will not harm your hair or health. 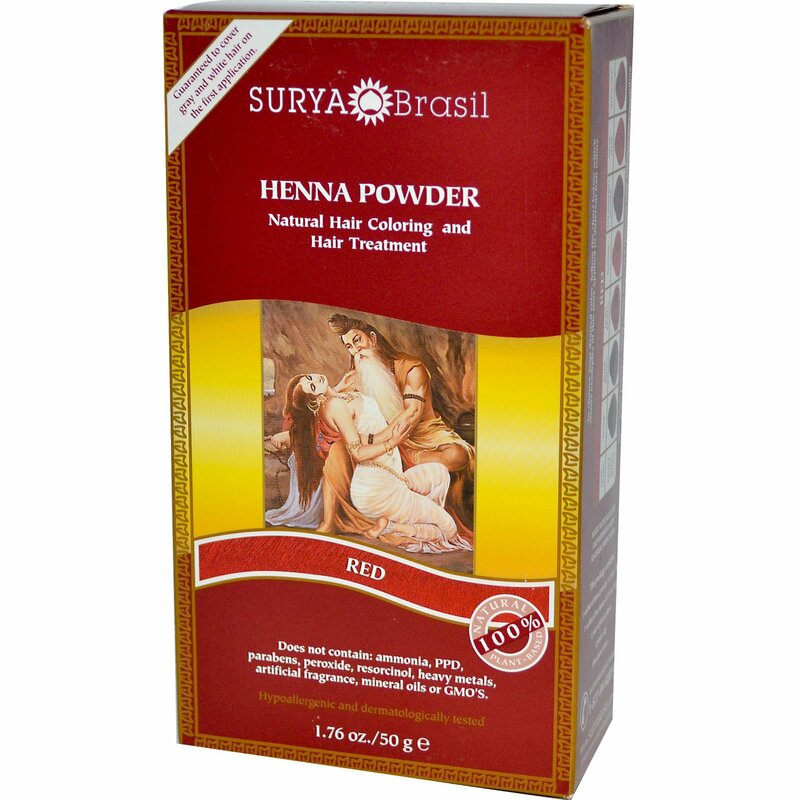 Surya Brasil Henna Powder is not permanent color- it washes out gradually and will not stain or leave any residue on your hair. Surya Brasil Henna Powder is available in eight beautiful shades and two non-coloring treatments for Neutral and Dark Hair. Does not contain genetically modified substances. Amla: an Indian fruit rich in Vitamin C.
Shikakai: native to India, the word means "fruit for the hair" and is a superior cleanser that supports hair growth. Terminalia Belerica: functions as an astringent and bactericide. Indigo: known for its coloring properties.